Ginseng is a wonderful homeopathic and medicinal herb, with super powers that go beyond teas and recently have entered the world of beauty care as well. 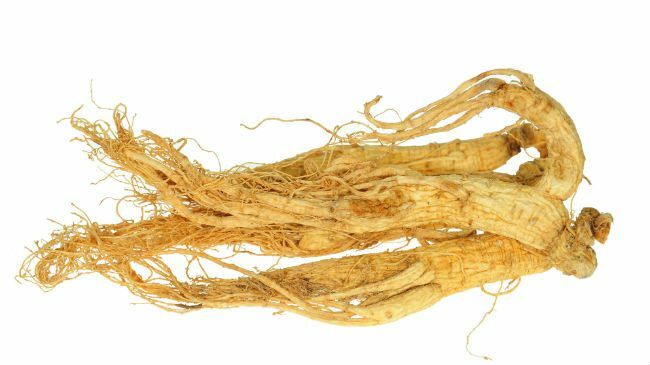 The ginseng plant flourishes in Siberia, Northern China, as well as parts of Korea and Vietnam. This nutritious herb belongs to the 11 species of slow growing perennial plants. Its fleshy roots and leaves carry potent medicinal properties derive. A healthy immune system allows the body to fight off illness and infections. Taking ginseng (capsules or teas) helps with blood circulation and optimum oxygen adsorption by the blood. In turn, ginseng improves the internal flow of the immune system and helps prevent hair loss. Ginseng has been acting as an anti aging treatment for many years. It promotes the body's natural metabolism, stimulating and activating the skin to stay firm, and young. Ginseng helps in the production of natural collagen, making your skin firmer. It also rids skin of free radicals. Stew ginseng (whole herb found at health food stores and whole food markets) in a pot of water for two hours. Allow it to cool, funnel it into a bottle and use daily. (keep the bottle refrigerated). Ginseng plant leaves contain lots of rich vitamins and minerals as well as antioxidants which are great for skin , and overall health. Ginseng tea is particularly helpful for rehydrating and refining skin. Mix ginseng powder with milk or honey to form a paste. If you need to thicken the paste, add some egg white or oat flour. Spread the paste around your eye area and allow to dry for 5-10 minutes. Wash off and remove with warm water and splash your face with cold water before your finish.